The Town is seeking qualified applicants for the position of Library Associate I: Young Adult Services. Qualified applicants under the administrative supervision of the Library Director and Assistant Director will perform patron service, age appropriate programming, collection maintenance, and community outreach. To apply, please send cover letter, resume and application to Sherry LaBarge, Human Resource Manager, P.O. Box 55, Colchester, VT 05446 or email to slabarge@colchestervt.gov. by November 5, 2014 or open until filled. 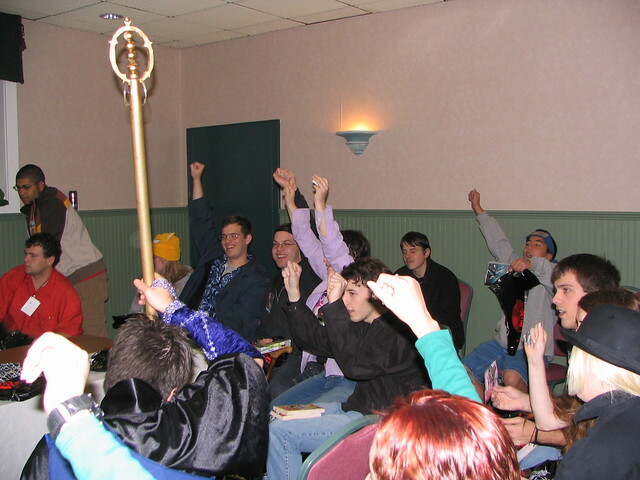 Bakuretsu Con, Vermont’s anime convention, has begun to branch out into throwing more events through the year. In Colchester on June 29th, Bakuretsu Con holds Open Beta, dovetailing with the 2013 convention’s theme of MMORPGs. Anime fans in Vermont have one convention where they can call home: Bakuretsucon. The website for this year’s convention is now up online, with registration for regular guests and artists now open. The convention will be held this year at the Hampton Inn & Conference Center in Colchester from October 20th through the 23rd. Memberships are now avaliable at $40 through September 1st. Children from 7-12 are $30, and a children’s form must be filled out for them. The convention is also looking for volunteers, with generous reimbursements off of the ticket price. Guests this year include Greg Ayres, Chris Ayres, Chris Cason, S.S. Icarus, Scott Melzer (NoN.D.E. Fanfilms) and Jon Miller (NoN.D.E. Fanfilms). Run by the Anime Society of Vermont, Bakuretsu Con has everything an anime fan could look for, Vendors, Artists Alley, Panels, Workshops, Hall Cosplay Contest, Cosplay Chess, Import Video Games, Guests, Game Shows, Board Gaming area, a Japanese Cafe, Manga library, and some of the friendliest attendees you’ve ever seen, according to their website. For more information, visit http://www.bakuretsucon.org.